Except where noted, Sharon Rich is the author of all books in this section. 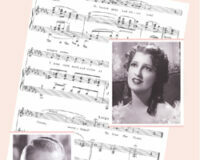 Sharon Rich has written seven books and edited and written over 70 magazines about 1930s singing stars Jeanette MacDonald and Nelson Eddy. Two of them were selections of the Entertainment Book Club. 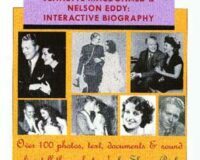 Sweethearts was the #1 Best Seller for four weeks at booksurge.com, while Nelson Eddy: The Opera Years was #2 during that same time period. More recently, the books were on Amazon.com’s best seller lists. Rich was close friends for many years with Jeanette’s older sister Blossom Rock. Along with interviewing hundreds of people, she had access to many collections of private letters, Nelson’s personal scrapbooks, diary entries, FBI files and Jeanette’s unpublished autobiography. She is considered by many to be the leading authority on MacDonald and Eddy in the world. In 1995 she was awarded a Dame of Merit by the Knights of Malta for her contribution to History and Literature. Rich lives in New York City.